Find a good spot on the wall that has enough space for the target, enough space in the surrounding area to play, and has an outlet nearby. Measure out on the wall where you want to hang the target. Use a level and hammer some nails in the wall where there are some studs to make sure the target is secure. 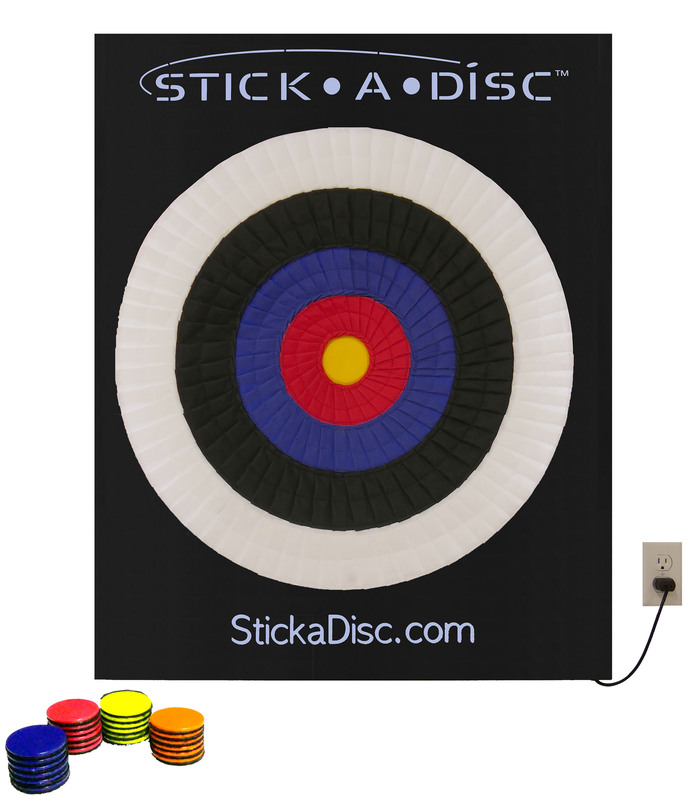 Place the target on the wall and use a level to make sure the target is nice and straight. Figure out the distance in which you will be throwing the discs and play!